Give your motorcycle a truly unique look with this set Rimstriping MotoGP Silver Metallic! Quick and easy application. - Motorsticker.com | Want to buy Rimstriping MotoGP Silver Metallic? This is our Rimstriping MotoGP. 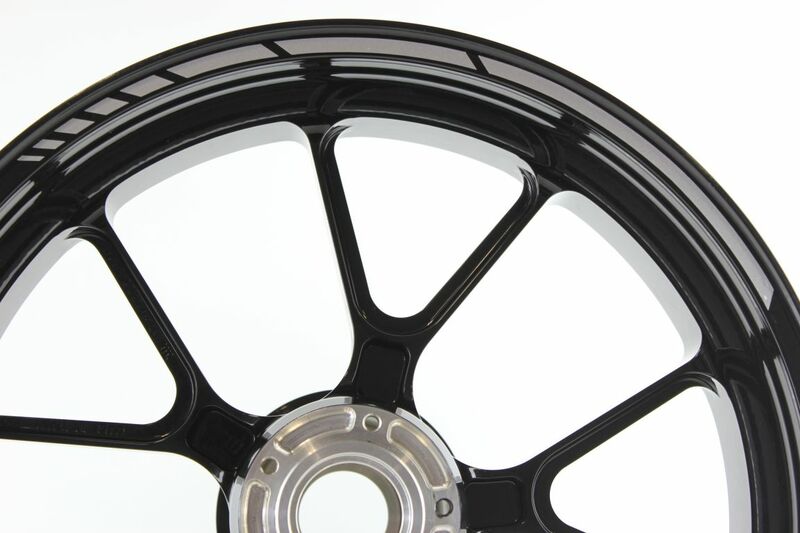 This rimstriping consists of 3 parts for each side of each wheel, and is 7mm wide. A diagonal piece is cut out of each rim, the distances between the cut outs increasing. The stickers fit every motorcycle with 7 mm wide rims or bigger. Because the striping is provided with application tape, it is easily applicable. Watch the instruction video and find out how easy it is to apply the striping properly and quickly. It is not printed on white or transparent film, all striping is actually cut out of a colored film. This method provides a very professional look. Are the wheels of your motorcycle larger or smaller than 17inch? Notify us in the comments when your order. Do you have questions about this product? Please let us know! 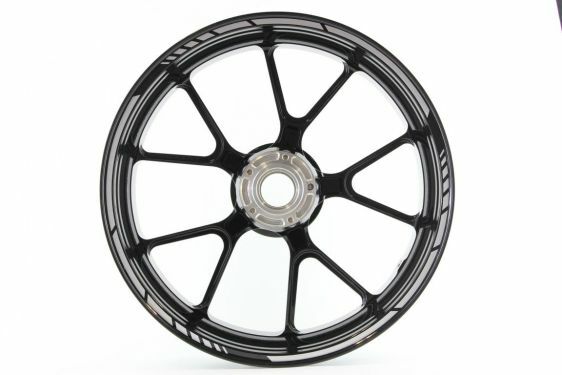 What comes with this set Rimstriping MotoGP? 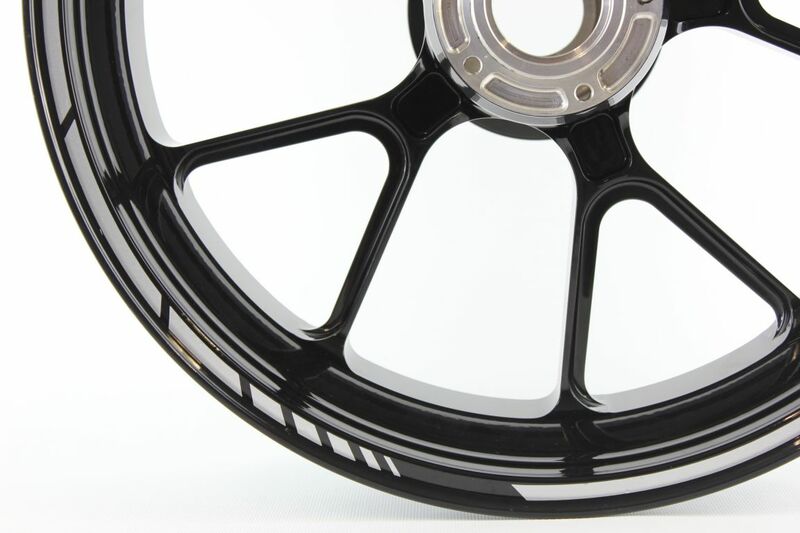 One set rimstriping MotoGP provides striping for both sides of both wheels. Two spare stripes are included. Place your motorcycle onto paddock stands, so the wheels can rotate freely. Cut the striping with a sharp pair of scissors. Apply the first part to the edge of the rim (notice the difference between the right and left side). Keep a 5-6 cm distance between the 3 stripes. Repeat on the remaining rims. Take a few steps back, have a look at your motorcycle and enjoy the fantastic result! Tip to improve adhesion: Directly after applying the rimstriping, shortly heat it with a heat gun or hair dryer.